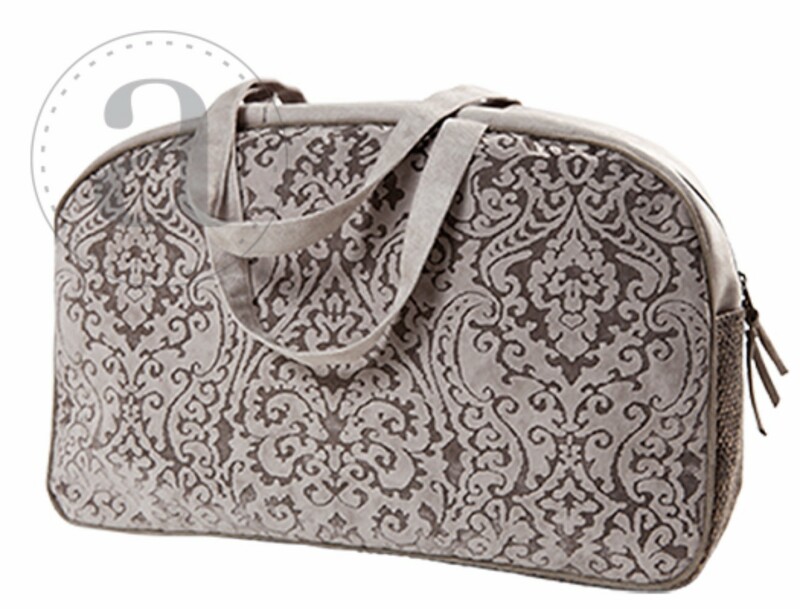 A seamless arabesque pattern in subtle shades of olive, taupe and stone. Perfect for a weekend away, a knitter’s project bag, an airline carry-on or a diaper bag, our roomy Overnighters have double straps, a 25" zippered opening and a full water resistant lining. Inside are a zippered pocket and a divided pocket with a cell phone slot.